I really hope the Cheetahs and Southern Kings will be competitive. I really hope the Cheetahs and Southern Kings will do well in the Pro14. I don't want them to be like Zebre and Treviso. I hope they raise the benchmark of the league and force other teams to up their game. Re: I really hope the Cheetahs and Southern Kings will be competitive. Both those sides went toe to toe with Jaguares, which is basically the Argie national sides. Of course they are going to be stronger than Treviso and Zebre.. It remains to be seen how well they adapt/change their gameplan in the different conditions here in the NH. I think Cheetahs would have been playoff contender in conference B.
I hope the other teams in the PRO14 will manage to be competitive against the Cheetahs and Kings. Something tells me there will be a few opinions revised after the first 4-5 rounds. Cheetahs finished 13th in the super 18 and kept the bulk of their squad so should be ok, Southern Kings had a great year finishing 11th, but have had a hugh rebuilding job, my understanding is that Deon Davids built them to finish 11th in 2 seasons with very little, and it was most important to keep him, as he basically has the same job to do again but with a better base. So may struggle this year, but have a good base with Davids. For the sake of the interest people will have in the expanded tournament I think it is important that they show something. Saints beat Scarlets 71-21 and Ulster 55-15, bigger scorelines than we beat Championship side Nottingham, so I think they'll be okay. Scottrf wrote: Saints beat Scarlets Dragons 71-21 and Ulster 55-15, bigger scorelines than we beat Championship side Nottingham, so I think they'll be okay. Slight difference between those two sides, one are reigning champions and the other finished off very poorly (and also played a pre-season match the day before in france). Scottrf wrote: Saints beat Scarlets 71-21 and Ulster 55-15, bigger scorelines than we beat Championship side Nottingham, so I think they'll be okay. Pot Hale wrote: I hope the other teams in the PRO14 will manage to be competitive against the Cheetahs and Kings. I think both teams will catch people out. I remember Treviso's first game in the Rabo Pro12, they beat the Scarlets out in Italy. Part of me is very cautious about this weekend as I can see the Kings coming over as an unknown quantity, and possibly turning us over at PYS too. They still don't want to lose by 40+ points. We'll see how the new teams do. Hmmm. I hope so too, but I have some reservations. Both teams have had a very quick turn around since Super Rugby, and are also having to field Currie Cup teams at the same time. The Cheetahs have also lost some players between being kicked out of Super RUgby and being accepted for PRO 14. The Kings were building some nice momentum during the Super Rugby season, so if they carry on in that mould they might do better than expected. I think both teams will whoop a few of the Pro14 teams this season. We're in for a shock, especially when playing in SA. Underestimate these teams at your peril. I wouldn't have too many fears for them. People might have Zebre and Treviso in mind when thinking of 2 new teams joining the league. Big difference between South Africa and Italy though. SA is a rugby nation, Italy isn't. So I'd expect the Cheetahs and Kings to be competitive. Long term it'll come down to money. Apparently they'll earn more money than in super rugby so that could be the game changer for them. This season I am cautiously optimistic that Treviso will be more competitive. They've some good new signings like Marty Banks and have built on last years squad. The money aspect is very important for the Cheetahs and Kings, it will mean they can lure big name players and not lose so many players every season. At one stage it was so bad the Cheetahs would unearth new talent on a yearly basis only to have them stolen by European clubs, Bulls, Sharks and Stormers. profitius wrote: I wouldn't have too many fears for them. People might have Zebre and Treviso in mind when thinking of 2 new teams joining the league. Big difference between South Africa and Italy though. SA is a rugby nation, Italy isn't. So I'd expect the Cheetahs and Kings to be competitive. An epic fail at trolling or trying to be a wise man or whatever..
You can't judge teams based on one weekend, last season the Blues looked very good for the first few weeks, yet they didn't make Europe. Leave the jury out until they've had a couple of games home and away, then we shall see if they are competitive or not. Just consider this, end of Super Rugby is end of season for player contracts, which means end of Super Rugby players leave. It was a mad scramble for these teams they hade less than a month to prepare for Pro 14, give them chance, they will be worth it, remember also the Cheetahs were quite competitive in the match, the two yellow cards didn't help their cause. He's still trying to work out what Saracens will beat everyone else by going by that match. Best team in Europe probably. Both SA teams will get better. Came off a long season and lost the cream of the crop to other teams. Am I mistaken in thinking the Cheetahs developed De Jager and Le Roux? Playing Ulster expansively away after a long season is not an easy start and going away to the team that won it all last season after losing all bar a skeleton of a squad were unfortunate. The improved money, the end of Currie Cup and the end of the Rugby Championship will rapidly make a difference. I don't think either will make playoffs but they will be competitive. Maybe after 2-3 seasons and a stable platform, 1 should be able to fight to win it all. Zebre and Treviso may be better. Zebre put Ospreys under enormous pressure away. If the Italians can both get to 6th in their conferences, that would be a start. They will undoubtedly get better but they will have a difficult, disheartening first season, I'd say. Although I do expect the Cheetahs, certainly, to have some good wins. It's true that they have had a long season - but the rejoinder to that is that they were playing two teams in their first game of the new season. Rusty and, in Ulster's case, getting to grips with a whole new coaching set-up and missing all their Lions and most of their Ireland players. As these teams settle into the new season and improve, the Cheetahs and Kings will get more and more tired and stretched. They won't have a level playing field until next season. Still delighted to have them on-board now. Both teams showed some good attacking rugby. They have to work on things like defence, breakdown etc. New players, new combinations, new environment, new interpretations etc to get to grips with. After 1 round of games it's a bit early to make predictions. It reminds me of when Schmidt took over Leinster. After a month some people were calling for him to be sacked. Same last year when Scarlets lost their first 3 matches. Wayne Privac was under pressure. In any case most people including myself have said that it might take a year or two for the teams to challenge the top teams. You can't build teams overnight. Was in Israel sorry. Well done. We have to recognise, both the SA teams have had a horrible start, with depleted squads and no rest between switching to NH tournament. But with them both having home games next weekend, this has to be the games to win, if they aren't going to be considered as Pro14 fodder like the Italian sides. Ok, Kings have the hardest game against Leinster and need to keep Leinster's scores down to be seen as success. 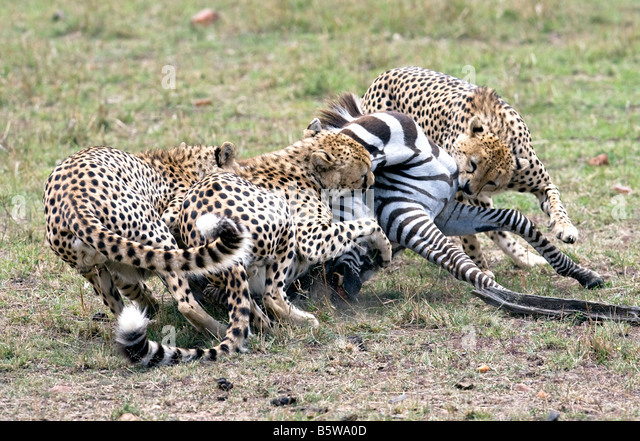 But the Cheetahs really have to see off Zebras if they want to be taken seriously in this tournament. Cheetahs were horrible against Munster, it's like they were coached to play against their nature and kick everything away. The porous defense being still there of course this was always going to be a one way traffic. If they want to win games they will have to play to their strength and score more than the opposition not trying to concede less.. Hope the injury to their 8 isn't as bad as it looked. Kings will only get better and better. So after, Petersen, Rhule it is now leading try scorer Mapimpi who is leaving the Cheetahs..
A kick in the teeth from the SA Rugby Union to the other PRO14 Union. A maiden win for the Kings last night. VinceWLB wrote: So after, Petersen, Rhule it is now leading try scorer Mapimpi who is leaving the Cheetahs.. I think Mapimpi was always due to leave but we'll see in the next 2 seasons how the SARU treats the Cheetahs and Kings, hence the league. I have my doubts about them too. profitius wrote: A maiden win for the Kings last night. I'll judge them at the end of next season as their preparation for this season wouldn't have been ideal after being thrown out of super rugby and both teams have been playing non stop rugby for over a year now, without much of a break. Hopefully some good players will be signed up for next season but I do wonder what they will do in the Currie cup, will they just use it to develop players? See what happens next year. If they recruit well, then the money has filtered through. Southern Kings in particular need to improve significantly. Watch out for Gwent Dragons next year too! I'm pretty sure SARU could have blocked the transfer and Cheetahs were already in the pro 14 when Mapimpi signed for the Sharks. Cheetahs are still a serious outfit and i have been very impressed by their set-piece but they have now lost their 3 X-factor players.